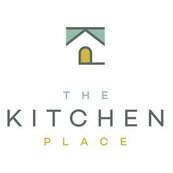 17 Reviews for The Kitchen Place, Inc. I know Pat Lang, the owner, and he is very hard working and professional. He helped with my house in Kansas. He is such a reliable person! Great company to work with!!! Highly recommend this company!!!! They built us a dream kitchen which we get a ton of compliments!!!! Top of the line design, products and installation. Pat and his team really know their business. Came up with innovative solutions to dead ends.